Combine the joys or quilting and embroidery to create this beautiful miniature quilt. Create a colourful miniature Baltimore quilt using surface embroidery and stumpwork techniques. Traditional nineteenth century motifs, worked with needleace slips, ribbon embroidery and wrapped beads, are represented on nince exquisite blocks. Together, they form a stunning quilt you will be proud to display. 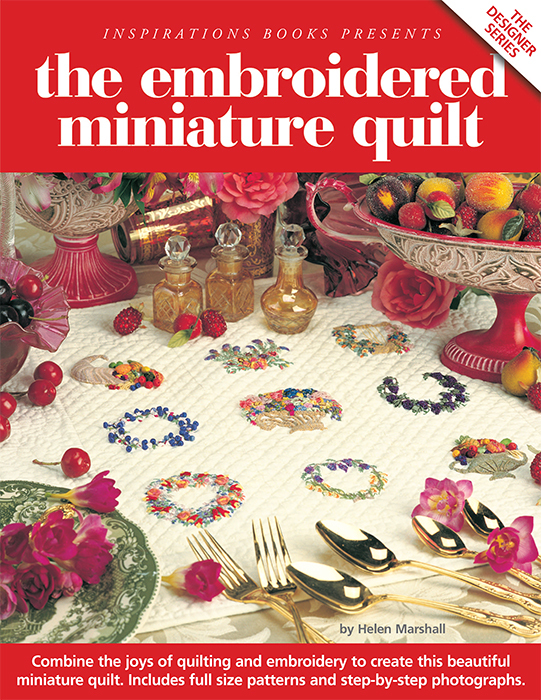 Includes full-size patterns and step-by-step instructions.